32 p., Kids Can Press, 2001. Leon is a young chameleon who, instead of turning the same color as his surroundings, turns the opposite color. He's embarrassed about this difference and feels left out. But his feelings change when he sneaks along with the other chameleons to go exploring. They get lost, and Leon's contrasting color helps their parents find them. After this, he feels special instead of self-conscious about his difference. An afterword introduces color theory. This story helps children see that there is more than one way to interpret what makes them "different," and that it's possible to value their differences. 32 p., Little, Brown, 1998. Children need to find a balance between exploration and safety. In this story, Mama duck keeps telling Daisy to "come along," but the duckling doesn't listen; she is busy watching fish, chasing dragonflies, and playing with a frog. When she finds herself alone, she starts to see dangerous animals, and she needs her mother. Mama soon finds her, and she feels safe again. After that, Daisy finds a way to explore while staying close to her mother. Daisy's curiosity, fear, and relief are clearly illustrated in her facial expressions. This book will help children understand how to use their relationship with an adult to help them feel secure as they explore the world in a way that is both fun and developmentally necessary. Illustrated by France Brassard. 32 p., Boyds Mills, 2010. When your mom's away, it's hard to be brave. Jerome's mom is a sailor, and she asks him to be brave when her ship goes out to sea. But when she leaves, he doesn't feel brave - he feels sad. Although he misses Mom, Dad takes good care of him and the family dog, Duffy. They maintain their normal routines, and have both happy and difficult times. Jerome looks at a picture of Mom, and makes a book for her, to cope with missing her. Dad helps him to remember that just as he's thinking about Mom, she's thinking about him. Jerome generally copes well, but his experience of stress comes out in occasional bedwetting and getting into trouble at school. When there's a pet show at school, Jerome brings Duffy, who is scared. But Duffy does what he's supposed to do. Jerome's teacher explains to him that because Duffy did what he was supposed to do, even though he was scared, he'd been brave. And Jerome realizes that he, too, has been brave in his mother's absence. Now he can anticipate a joyful reunion with her. Children will find empathy, acceptance, and encouragement in this sensitively-told story. Illus by Alice Priestley. 24 p., Tilbury House, 1994. Sometimes it takes a great deal of creativity to see a new country as home. Gita has moved to North America from India because of her father's job. At first the move had seemed like an exciting adventure, but as Divali approaches, she misses India, her relatives, and the community celebration. When freezing rain threatens, it feels as if her new home can never really be home. Gita's mother helps her understand that Divali is a celebration of bringing light to darkness, and when the ice storm causes a power outage, the family's glowing diyas literally bring light to the neighborhood. Gita understands that she and her parents have, in fact, created light, and she's able to see the ice as a source of sparkling light too. Gita shows children the possibility of joy in integrating their experiences of their old home with those of their new home. Illus by Anne Sibley O'Brien. 40 p., Tilbury House, 1993. Immigration can include both trauma in a child's country of birth and prejudice, as well as joy, in his or her new home. Nary, about 10 years old, is a refugee from Cambodia. His parents were killed and he lives with his grandmother and uncle in the United States. This story explains the war in Cambodia and describes Nary's immigration through a refugee camp in simple language. Nary is happy about much of his life in the U. S. and finds ways to own both Cambodian and U.S. cultures. However, his classmates sometimes call him names such as chink and tell him that he doesn't belong here. When he tells his teacher about this hurtful experience, she or he responds with a lesson on immigration in which students act out parts of the process. Additional text on most pages puts Nary's immigration story - including the prejudice he experiences in the U. S. - in the context of the immigration of millions from many countries, as well as including information about native people. It also describes the multicultural origins of many foods we eat and of some English words. Raising the question of who really is an American, given that most Americans are immigrants or descendants of immigrants, this story questions the assumptions that underlie prejudice. Simultaneously, it provides an empathic view of immigration. A teacher's guide is available. Illustrated by Arieh Zeldich. 32 p., Macmillan, 1984. A girl describes the transition between her mother's urban apartment, where she lives during the school year, and her father's cabin in the woods, where she lives during the summer. Her sadness about being away from each parent is acknowledged, as well as her joy in the special parts of her relationship with each parent and in the life she has with each of them. Although they're different in many ways, both parents will always love their daughter. Kids may ask why the girl travels alone on an airplane or is allowed to ride in a pickup truck bed. But her feelings of loving and missing each parent, and her sense of resolution in their shared love for her, offer empathy and hope to children whose parents have divorced. Illustrated by Jeanette Swofford. 47 p., Dillon Press, 1986. Seven-year-old Jason was placed in a loving foster home during infancy, after being neglected by his 16-year-old single mother. At the age of two, he was reunited with his mother. Around the age of four, his mother repeatedly physically abused him, and he felt he was a bad boy. He was placed in another foster home, where he felt lonely. He learns from a new social worker that he is not to blame for his mother's troubles, and with this social worker's help, is again reunited with his mother, who has finally learned to care for him properly and to talk with him, not hit, when he does things he's not supposed to do. Jason's feelings about separation, angry feelings in his home, and multiple placements are addressed sensitively but realistically. This book contains a glossary and an afterword for adults. This book can help children understand what foster care is like, and is especially helpful in its emphasis on the idea that children in foster care are not to blame for their families' problems. Translated by Teresa Mlawer. Illustrated by Mira Reisberg. 32 p., Whitman, 1999. This bilingual book tells the story of a Latino family's immigration to the United States. The daughter notices what is "just like home" and what is "not like home." The family stays with relatives for about two months until they get their own apartment. Although the kids at school aren't friendly, the girl's cousin helps her to get along there, but doesn't always include her with other children. Finally, when other children invite her to play, the girl has fun, and begins to feel at home. An appendix invites readers to find various objects on each page, encouraging monolingual readers to learn the language they don't know. This story conveys empathy with the experience of immigration, and the upbeat ending offers hope of a positive outcome. It can be confusing and upsetting when your parent, or another important adult, has a mental health problem. In this rhyming story, author and marriage and family therapist Leslie Baker demystifies adults' mental disorders. After reviewing feelings that are familiar to children, she explains that sometimes, adults' feelings don't work in the way they should, as a source of information that will "help our minds know where to guide us." She empathizes with children's sense of loss of the happy parent (or other adult) they once knew, and reassures kids that their adult will feel better again, with the help of therapists ("feeling healers") and physicians. Reading this story offers children understanding and hope in a painful situation. 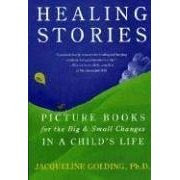 More information about the book is available at The Healing Feelings Book. Illustrated by Catherine Siracusa. 20 p., Viking Kestrel, 1987. Mike and Tony are friends who have a positive, cooperative relationship. One evening they have a pillow fight, which leads to an argument about who won. Mike stomps off. With his mother's help, Tony finds Mike. Although Mike is still angry, they're able to agree that no one won, and to be friends again. This story shows children that even good friends disagree and fight, but when they put their friendship ahead of the disagreement, they can find a way to stay friends. Illustrated by Henri Sorensen. 32 p., Lothrop, Lee & Shepard, 1998. A boy and his brother, who live in Puerto Rico, go snorkeling on an ordinary day, when a hurricane comes suddenly. The children, their parents, and their dog hurry in their car to a shelter. The hurricane shatters a window of the shelter. People sing "Silent Night" together, because it "made us feel better." When the storm is over, the family goes home, and finds their house still standing, although there is debris from trees. The boy feels that little has changed. The next day, he and his brother run to play at the beach again - everything is all right. This story shows that even in a disaster, there is a way to be safe, and the disaster will pass. Illustrated by Susan Jeffers. 32 p., HarperCollins, 2004. During World War II, William is too young to do war work like his parents, or even his older brother, who helps at a farm. But he often wins the war in his imagination. When Queen Wilhelmina of the Netherlands comes to stay in his town for a few months, he wants to visit her. He thinks she doesn't come to meet him because he's too young to do war work. Even when William helps his Dad pick blueberries, he wonders whether that could be considered war work somehow. Dad wisely tells him that picking blueberries is peace work, because eating blueberries makes people feel happy. This gives William an idea. He picks a basketful of blueberries, and in spite of his brother's teasing, takes them to the queen. He is allowed to give them to her himself, and she thanks him graciously. As a result of this experience, William comes to value his capacity for peace work. According to an afterword, this story is based on a real event in the author's life. This story works against children's sense of helplessness related to war by showing them a way to value their positive contributions. Illustrated by Betsy Imershein. 48 p., Morrow, 1994. This non-fiction book, which is illustrated with photographs, describes kindergarten activities, and anticipates questions that many children may have about kindergarten (for example, What if I get lost? Where is the bathroom?). The emphasis is on day-to-day activities, such as listening to stories and painting, but there are also reassuring statements about children's feelings; for example, that it may be hard when you don't know anyone, but soon you'll make friends. The distinction between kindergarten and preschool or day care is made explicitly. This book is fairly regionally specific: photographs are of schools in the New York City area, the term "nursery school" is used exclusively (rather than preschool), and the author tells children that they will probably take a school bus, or maybe have someone walk them to school (although in other places children are often driven to school in cars). An introduction for parents is included. This book gives children lots of information about what happens in kindergarten in a matter-of-fact, positive way. Illustrated by Robert Hynes. 32 p., Tilbury House, 1996. When other kids call you names as an ethnic insult, sometimes you can reclaim the name in a positive way. Such is the case for Jeannie, who is of Native American and French descent. At her school there are two groups of kids. One group lives "uptown" in clean white houses and wear brand-new clothes. Jeannie belongs to the other group, who live in trailers and old cottages by the lake. When she tries to tell the "uptown" kids about the wonders of the lake, they respond using words like "dirty," "gross," and "crazy." They call Jeannie and her neighbors Lake Rats, which hurts her feelings. Jeannie confides in her Grampa, who uses a traditional Native American creation story to help her to see Lake Rats in a whole new way - as representing creative force. In a dream, she identifies with this creative force, an identification that her Grampa understands. Then she doesn't have to worry any more when kids call her a Lake Rat. Using the wisdom inherent in her culture and her Grampa's support, she has transformed and detoxified an insult. Illustrated by Elizabeth Wilda. 50 p., Centering Corporation, 1996. Corey and his beloved Grandma enjoy watching balloons together. Corey asks Grandma where they go when they fly away. She suggests that they go to the Balloon Forest, a field where there are millions of balloons, which she has seen only in her dreams. As time goes on, Grandma more often doesn't feel well, and eventually is seriously ill and hospitalized. Corey brings her a balloon, over his parents' objections. When she dies the next day, Corey thinks she might be in the Balloon Forest, and tries to fly there using his imagination and a bunch of helium balloons. This experience leaves him with a need to tell Grandma he loves her. He writes, "I love you, my Grandma" on a piece of paper that he attaches to a balloon and releases into the sky. His father, who seems somewhat distant earlier in the story, joins with him in this. This story shows children a way to keep a connection with someone who has died. Illustrated by Carol Thompson. 26 p., Little, Brown, 1990. Jim doesn't want to get up, put on his new clothes, eat breakfast, or, especially, go to school. His parents tell him that he'll like school, but, looking teary, he disagrees. He wants to go home all the way to school. When he gets to school, he doesn't want to paint, but it looks like fun, in spite of his attempts to ignore it. He decides to join in, and finds that he can't help enjoying painting and the other fun things that kids do there. When it's time to go home, his familiar refrain resumes -- he doesn't want to. But he's able to allow himself to want to go back to school the next day. This story might be a particularly good choice for a child who's in phase of saying No to everything and has expressed a wish to avoid school (without any particular concerns about separation), since it shows a transformation from this negativism to enjoyment of school. Illustrated by Sybil Graber Gerig. 40 p., Rising Moon, 1996. As this story begins, Amanda is an elderly woman, sitting on a bench at the park and recalling her childhood. She remembers her grandfather, and especially his stories. One of his special stories is about the origin of worry stones, which the author describes in a foreword as not an authentic Chumash tale, but one which she hopes is consistent with the spirit of the Chumash people. In Grandfather's story, worry stones are the tears of Tokatu, a woman whose husband has died immediately after their marriage. Death is described as being taken away by the Wind of Time. Grandfather says that whoever finds a worry stone will be comforted, no matter what troubles they have. The worry stone helps Amanda resolve her grief when Grandfather dies. The story returns to the park, where a sad-looking boy sits on the bench with Amanda. She gives him the worry stone, and begins to share Grandfather's stories with him, healing both the boy and herself. Children will understand that sharing treasures can forge connections that ease loneliness. Illustrated by Joline McFadden. 32 p., Tilbury House, 2002. Sometimes, arbitrary expectations - from ourselves or others - can lead to overlooking our real talents. Such is the case for Jonathan, who tries to help his beekeeper father. Jonathan is slender and not particularly strong; even his little brother seems more muscular. He senses his father's disappointment in him. Jonathan also has a creative talent: he makes tiny sculptures from beeswax. When it occurs to him to decorate his mother's homemade candles with these, they sell more candles than ever before, making a huge economic contribution to their struggling family. Because of Jonathan's candle decorations, this family is going to be all right. With Jonathan, children can learn to celebrate their strengths, as well as understanding that it's possible to be a successful male without conforming to a gender stereotype - even one that may seem reasonable. Each page also includes facts about bees, and there is a resource list for insect information at the end. Illustrated by Alexi Natchev. 32 p., Dial, 1999. Outlaws attack the walled city of Beda, which is ruled by the princess Birgitta the Brave. The princess devises a plan in which she tricks the outlaws into believing that Beda is ruled by a sorceress who can turn humans into goats. Five children, disguised as goats, contribute to the success of her plan, which leads to the outlaws' terrified retreat. According to an afterword, the story is based on real events. The illustrations effectively convey the outlaw leader's ferocity, the princess's wisdom, and the children's innocence. War often makes children (and adults) feel helpless and overwhelmed, and certainly children should be protected from war, not brought in to fight it in any way. But the fantasy of children's power in this story will work against their sense of helplessness. Illustrated by Kay Chorao. 32 p., Atheneum, 1988. A boy, about three years old, angrily tries to keep his parents from going out to dinner and leaving him with a babysitter. He expresses a lot of worries about what might happen with a babysitter; for example, a sitter might force him to eat vegetables. He asks his parents to stay for another story, tells them he's sick, and threatens to run away to find new parents who never go out. He doesn't want to say goodbye. In two wordless pages, he makes a connection with the babysitter and becomes willing to say goodbye to his parents. This book would be best for children who have already expressed the angry feelings that the child expresses in the story. They will have the opportunity to see that their angry feelings can be contained, and that it might be OK to stay with a sitter in spite of their expectations. Illustrated by Alissa Imre Geis. 32 p., Tilbury House, 2007. Sometimes kids can do mean things out of a wish to be accepted and to be cool. Such is the case for Alexandra. Jenny has always been her best friend, but then Rolinda shows up at school. Rolinda is the coolest kid ever, and Alexandra immediately wants her as a friend. She succeeds in impressing Rolinda, but only by (literally) hobbling herself. But Rolinda rejects Jenny. To win Rolinda's acceptance, Alexandra says that Jenny isn't her friend any more, and even tells Rolinda one of Jenny's secrets. When Jenny is angry and hurt, Alexandra realizes how much she values their friendship, and she apologizes. Jenny and Alexandra work together to decide how they will conduct their friendship in ways that protect it. When this happens, Alexandra finds that she can relate to Rolinda without giving up either her best friend or her sense of self. Empathizing with both Alexandra's and Jenny's experiences, this story shows kids a way to stay true to themselves, their values, and their friendships. Illustrated by Meredith Johnson. 40 p., Free Spirit, 2003. A girl tells about things that frighten her, both make-believe (for example, bad dreams, scary movies) and real (war and violence in the world). She describes coping strategies such as talking with a family member or other adult, playing with friends, thinking about other things (when worrying about something she can't change), drawing pictures, and taking deep breaths in a special quiet place. The girl explains how she knows to trust some adults, and mentions community helpers who can be trusted. A detailed note for adults describes ways to support children when they feel afraid, and includes a brief resource list. Children will benefit from knowing the coping strategies that the girl suggests, and can adopt some of her positive self-talk to use themselves. Translated by Suzanne Freeman. 48 p., Greenwillow, 2001. A rabbit child (who can be seen as either male or female) remembers the enjoyment of spending Wednesdays with Granny. The child remembers how one Wednesday, they could not spend the day together because Granny was in the hospital, and then died. When the family attends Granny's funeral, the child wonders whether this means she is gone forever. Mama responds that no one knows for sure what happens after death, but that in some way, Granny will always be with the child because the child loves her. The child is sad at first, but later has happy memories of the time with Granny. This story shows children how good memories can comfort them when someone has died. Illustrated by Lea Lyon. 32 p., Tilbury House, 2005. In the United States and other countries, children often see war as an abstract concept or even a way to be powerful. In this story, five children decide to play war, using sticks as guns and pine cones as grenades. One child, Luke, says he wishes that kids could really fight a war. But another child, Sameer, has had personal experience with this. When the others hear this, they're impressed at first. But when he tells them that in a war, his house was destroyed and his parents and brother killed, they realize that war is about harming children and families. Feeling sad and protective, Luke ends the game of war and decides that basketball is a much better idea. Through this story, children will begin to understand the realities of war, and to realize that it is anything but a game. TV Turn-Off Week starts today! TV Turn-Off Week is April 19–25! The goal of TV Turn-Off Week is to re-think TV's role in our lives and to gain a better understanding of why and how we use it. To participate, just turn off your TV and do other things. A perfect choice would be to read a book! This blog and your librarian have lots of places to start. More information about TV-Turn-Off Week (and more alternative activities) is at TV Turnoff Network and Wikipedia. 32 p., Houghton Mifflin/Walter Lorraine, 2003. Evie and Margie are best friends who dream together of being actors someday. Then they both decide to try out for the part of Cinderella in the class play. Margie is clearly the best at crying at will, and the tricks she teaches Evie to do this are too disturbing to Evie, and don't work for her anyway. Margie gets the part, and Evie is chosen as Margie's understudy. Evie is painfully disappointed, and when she gets home, she really cries. She realizes she's also jealous of Margie, and that upsets her. When Margie is sick on the day of the play, Evie plays the role of Cinderella, and has no difficulty crying at the appropriate time when she thinks about her disappointment in not getting the part, Margie's disappointment in missing out on her big day, and how awful it feels to be jealous. But a second performance is planned, and Margie gets to play Cinderella. Evie discloses her jealousy to Margie, who responds by saying that she had been jealous too. They're both relieved, and can be friends again. This story shows children how jealousy can disrupt a friendship, and how a strong friendship can survive it. Illustrated by Myles C. Pinkney. 28 p., Scholastic, 2000. This book celebrates the diversity of African American children with photographs showing many different skin tones, hair textures, and eye colors. The text expresses pride in all these variations. This book presents a positive message of acceptance of the unique aspects of one's appearance. Illustrated by Cynthia Jabar. 40 p., Candlewick, 2002. The other cats won't play with Little Cat because they think his voice is too loud, even though his parents reassure him that it's wonderful. When a bulldog chases the cats, Little Cat tries to scare it away with a big meow. At first Little Cat is too scared to do this, but when the dog teases him, he gets angry, and lets out meows that blow the dog away to the next town. After this, the other cats accept Little Cat. This story will help children see how to detach others' "negative" labels from their attributes. Illustrated by Gail Owens. 32 p., Whitman, 1994. Molly recalls her mother's miscarriage a few months earlier. Her parents had gently explained to her that the baby they were looking forward to was not going to be born, because the baby was not strong enough to survive. Molly had worried about her mom and had wondered why miscarriage happens and whether the family would ever have a baby. Her dad had reassured her that no matter what happened, she and her parents would love and care for each other. She was helped to understand the experience both by playing with her doll and through special attention from her grandma, who explains that in all of nature, not all babies get to be born. Molly and her grandma had ordered a rose bush for her mother. Molly recalls that although occasionally a bud does not bloom, and this makes her sad, most of the roses do bloom, and will continue to bloom. An extensive introduction for parents is included. This story offers empathy, validation, and a way through the grief of a miscarriage. Illustrated by Margaret Miller. 40 p., Atheneum, 2000. This book describes friends as "people who like each other," and encourages readers to think about important aspects of friendship; for example, having fun together, helping each other, teaching each other new things, inviting new people into the friendship, trusting and accepting one another, understanding and respecting each other, and resolving disagreements. The author raises complex issues, such as refusing to do something you shouldn't, even if a friend asks you to. She comments that friends are valuable and special. A note to parents suggests ways to use the vignettes in the book to discuss friendship with children. This book offers children useful insights about friendship. Illustrated by Colin Bootman. 32 p., Charlesbridge, 2003. It is 1957, and Dana, who is African American, is chosen to attend an advanced (integrated) school. Her best friends assume that she thinks she's "better" than they are, yet she doesn't feel she knows how to fit in at the advanced school. The two worlds have different languages: at home, people talk "like real people" and use the word ain't, whereas at school, ain't isn't allowed, and people talk "strange." Dana struggles with the idea that the language of school is somehow more acceptable (which her godmother encourages) and the idea that the language of home feels familiar and real. When Dana's teacher says ain't while visiting her home, Dana finally realizes that both languages are OK, just in different situations. At the same time, she's able to repair her friendships, telling her friends that she isn't better than them; instead, each has something she's especially good at, including Dana's academics. This story offers a way to value and belong to two cultures simultaneously. 48 p., Harcourt Brace, 1979. Oliver likes to play jump rope, read, draw, play dress-up, and especially, to dance. He doesn't like to play ball, mainly because he isn't good at it. His papa and his classmates call him a sissy. His parents send him to dancing school, saying it's for exercise. He learns to tap dance, and works hard to do well. But kids bully him because of his dancing. He performs in a talent show, where he is very disappointed not to win first prize. However, his parents express pride in him, and his classmates decide that he is a star, not a sissy. Individuals' talents aren't always consistent with stereotypes, and there's an important message here about being true to yourself, regardless of other people's arbitrary ideas about what you're supposed to like or be good at. Illustrated by Denise Gilgannon. 59 p., Childswork/Childsplay, 2000. Penelope Penguin, an elementary school student, gets so angry - justifiably - when Splashy taunts her about her diving skills that she loses her concentration and dives poorly. Her friend Snow empathizes with her anger, and teaches her to take deep breaths and count to ten when she's angry to help her calm down, so that she doesn't do anything impulsive. But Penelope continues to react angrily to several provocations. Unfortunately, time out is used as a punishment rather than as a self-control technique, as she ends up in the "Chill Out" room, with the threat that if she loses her temper again, she won't be allowed to compete in tomorrow's diving contest. At the contest, Splashy again taunts Penelope about her diving skills. But this time Penelope remembers what to do. She breathes deeply, counts to ten, and performs a perfect dive. Splashy tries to provoke Penelope again, but Penelope is having none of it. She enjoys her successes at both diving and controlling her anger. An introduction for adults explains issues around anger control in children. Illustrated with black-and-white drawings. Children who struggle with anger will find empathy in Penelope's experiences, as well as a good role model for going from uncontrolled to controlled anger. Illustrated by Patience Brewster. 32 p., Holiday House, 1988. When Nora (who is about three or four years old) goes to the store, Mrs. Duck babysits Nora's Bear, who has a cold. Bear has a hard time letting Nora go, and at first refuses to play. Mrs. Duck understands that Bear misses Nora, Bear copes with her by drawing a picture of her. After this, he's able to enjoy playing with Mrs. Duck. In a happy reunion with Nora, Bear acknowledges his fun with Mrs. Duck while emphasizing his special love for Nora. This story shows children that they can love their parents, miss them, and cope with missing them by keeping an image of them close by; and can also enjoy a sitter. Illustrated by Claudia Rohling. 36 p., Free Spirit, 1997. In this nonfiction book, the author describes what it feels like to get along with people, and how it feels when they don't get along. She suggests that children can use those feelings to make good choices in relationships; for example, maintaining self-control, listening, sharing, and problem-solving cooperatively. She comments that even though sometimes we may feel like hitting, it's never permissible to do that. She gives examples of positive ways to cope with having been hurt. The marker illustrations, which show children from a range of cultural backgrounds, have colorful, elaborate, child-friendly borders. A group leader's guide is available. This book offers children many accessible suggestions for specific behaviors that can help them make friends and can enhance their friendships.